Karen Fogarty graduated from the Australian National University with a Bachelor of Science and Bachelor of Laws with Honours. Karen is comfortable working with the laws of the ACT, NSW or the Commonwealth. She has an excellent understanding of the jurisdictional restrictions, advantages and disadvantages of the judicial hierarchy in NSW, the ACT and within the federal judiciary. Karen uses this knowledge to be able to guide our litigation clients to the judicial (or administrative) forum that best suits the character of their dispute and the nature of the outcome they wish to achieve. Some recent successful court decisions for Karen include Vertical Australia Pty Ltd v Air Company Vertical T  NSWSC 719 and Holus Bolus Pty Ltd v The Wicko Pty Ltd  NSWSC 497. Karen’s depth of experience in litigation makes her an excellent negotiator. She also uses the knowledge she has obtained as litigator to inform her commercial drafting skills. Litigating over the meaning and effect of a wide variety of contractual clauses and sections of statutes has made Karen an adept draftsman. In essence, Karen is a problem solver. It is with this pragmatic focus that she approaches every aspect of legal practice. Karen’s legal practice is not restricted to any one area of commercial law. Her experience as a practising lawyer has seen her develop expertise across a wide range of areas, including property law, contract law, insolvency (both liquidation and bankruptcy), franchise law, the sale and purchase of businesses, advises on and establishing all manner of different commercial structures (e.g. corporations, sole traders, partnerships, discretionary and unit trusts), corporate governance, intellectual property and professional negligence. Karen’s commercial practice also includes the intersection of commerce with government. She advises clients on all aspects of commercial dealings with government (whether federal, State/Territory or local) and statutory bodies. Karen’s client base is vast. Her well-earned reputation means she acts for a large range of local and national businesses, associations and industry skill councils. 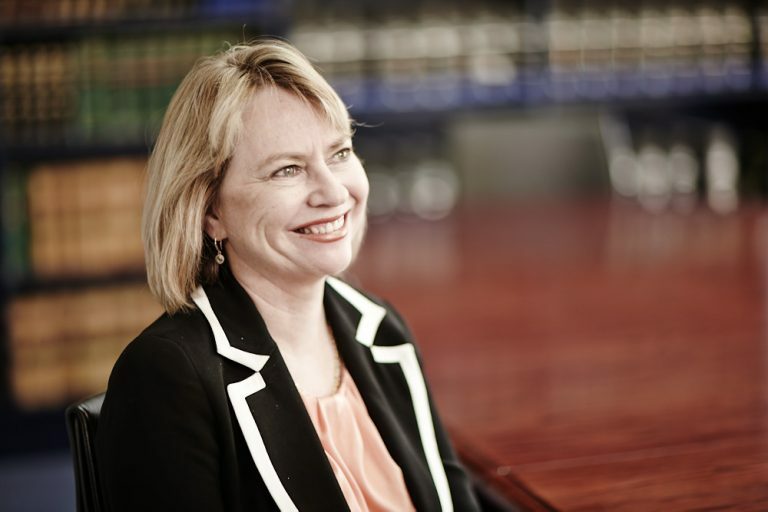 Karen maintains an active involvement in the Canberra business community and is the current Chairperson of the Kirk Family Foundation and a panel solicitor for the Law Society of the ACT. Karen is a former director of ACTTAB LTD.